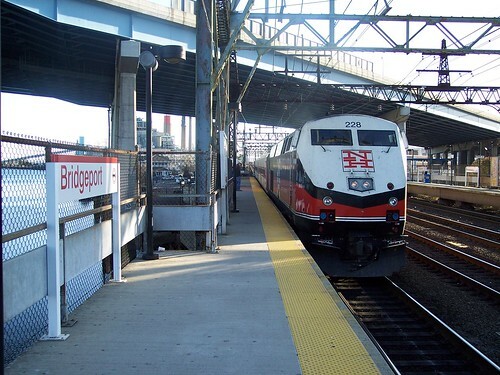 Our Waterbury Branch trip ended in Bridgeport. The return train to Waterbury approaches the platform above. 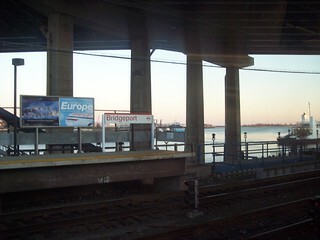 The Bridgeport station is next to the Pequonnock River.